Established in 1842, and located in Newmarket, Ontario, Canada, Pickering College is a co-educational independent day (Kindergarten–Grade 12) and boarding school (Grade 7– Grade 12) accredited by the Ontario Ministry of Education. Pickering College is located in the best country in the world for education, according to the 2017 Best Countries report and rankings by the US News & World Report. Canada ranks second for Best Country overall and received top marks for overall quality of life out of the 80 countries evaluated. Our international students receive unparalleled support, including family-style residence living and dining, and a unique advisor program that meets each student's academic and emotional needs. Students from JK to Grade 12 have hands-on leadership experience in a safe, friendly and supportive environment. As leaders in Canadian education, Pickering College develops and instills in our students the values, knowledge, and self-confidence to be successful in university and in life. Our Global Leadership Program builds on our longstanding mission and community service-oriented approach to education, preparing students with the skills needed to be innovative, entrepreneurial, globally-focussed and ready to tackle complex global issues. Pickering College has an exciting ESL Summer Camp for students aged 12 to 18 who plan to study in an English-speaking school or who wish to study English as an academic subject in their own country. Learn English and experience the wonders of summer at our 42-acre campus, an ideal location for a unique program that combines intellectual learning with a summer vacation in Ontario, Canada. 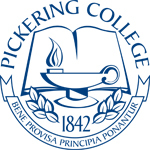 Pickering College helps boarding students to transition to living and studying in Canada. Every September, Pickering College’s boarding program welcomes students in Grades 7 to 12 from around the world. For some students, it is their first time away from home. For others, not only do they have to navigate the challenges of settling into a new country but also speaking in their second language full time. To help keep homesickness at bay, Pickering College’s boarding students live in a family-like atmosphere called a boarding family. Each family is headed by an Associate Faculty member (many of whom are qualified teachers) and are assisted by senior boarding students known as Proctors. Each family contains students from all different grades which allows for mentoring relationships to develop and flourish. “Our boarding program is very robust and attempts to offer opportunities to suit everyone’s interests. We have activities that run each evening and a very extensive weekend activity program. There is no shortage of things to do for those willing to get involved and participate,” says Mason. Pickering College provides boarding students with opportunities to experience Canadian culture, to develop new skills, to gain a greater understanding of the international community in which they live and to become independent thinkers. And the school’s boarding students are quick to tell you why they love the boarding program at Pickering College.